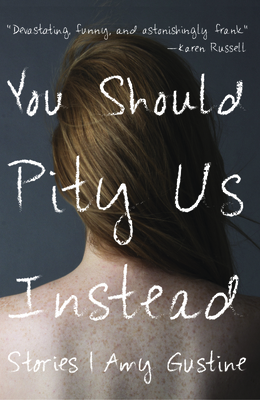 You Should Pity Us Instead explores some of our toughest dilemmas: the cost of Middle East strife at its most intimate level, the likelihood of God considered in day-to-day terms, the moral stakes of family obligations, and the inescapable fact of mortality. Amy Gustine exhibits an extraordinary generosity toward her characters, instilling them with a thriving, vivid presence. Amy Gustine's short fiction has appeared in the Kenyon Review, North American Review, Black Warrior Review, the Massachusetts Review, and many other places. She lives in Ohio. Amy Gustine: Amy Gustine's short fiction has appeared in The Kenyon Review, North American Review, Black Warrior Review, The Massachusetts Review, and many others. She lives in Ohio.